Few games get the opportunity to take a name so directly related to their content as Ko-op Mode’s Skipping Stones. But that is a luxury offered when trying something a bit different and getting something new. Skipping Stones may not be a game in the strictest definition of the term (even the game’s own reveal trailer described it as “a musical poem”). There is no score, no winning condition and play is based more on how long you want to spend playing. 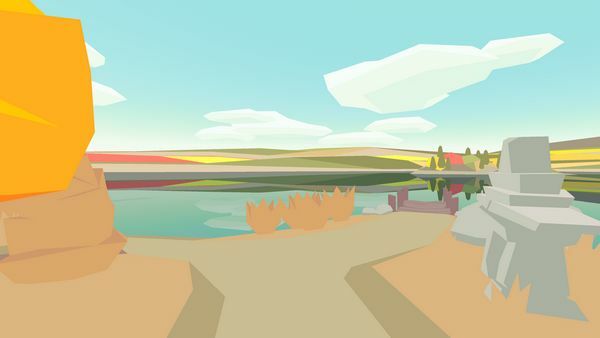 Instead, you are placed on the bank of a body of water – a lake was on display at Eurogamer, but developer Saleem Dabbous said that several scenes would be in the final game – with the mouse buttons throwing stones to skip across the surface. So far, so abstract. Except this hasn’t mentioned the music – which you are playing. Each throw of the stone plays notes as it skips across the water; occasional tosses may seem slow and sombre, quickly firing as many as possible leads to something closer to an arpeggio as the stones follow each other. This is where the game’s elements come together – music is a strong cue for emotion, and a random line of poetry takes on totally different feeling if accompanied by slow notes or fast, in the rain or clear, by day or night. There is also a sense of the insubstantial to the experience – when I asked Dabbous if it was possible to save a tune and replay it later, he said that there was something more poignant to a moment experienced that couldn’t be recaptured. How you feel about the idea of the music being experienced just once and never held as more than a memory later probably depends on whether you see it as a game or a relaxation exercise. However, Skipping Stones was something very different among the already very different selection of indie titles on display. 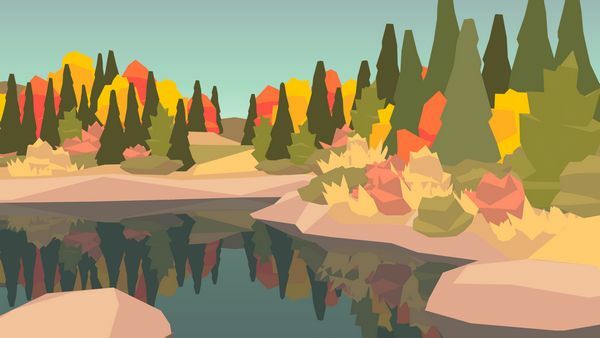 Skipping Stones will be available at some time in “fall, 2013″ for PC, Mac, and Linux, as well as iOS and Android platforms.